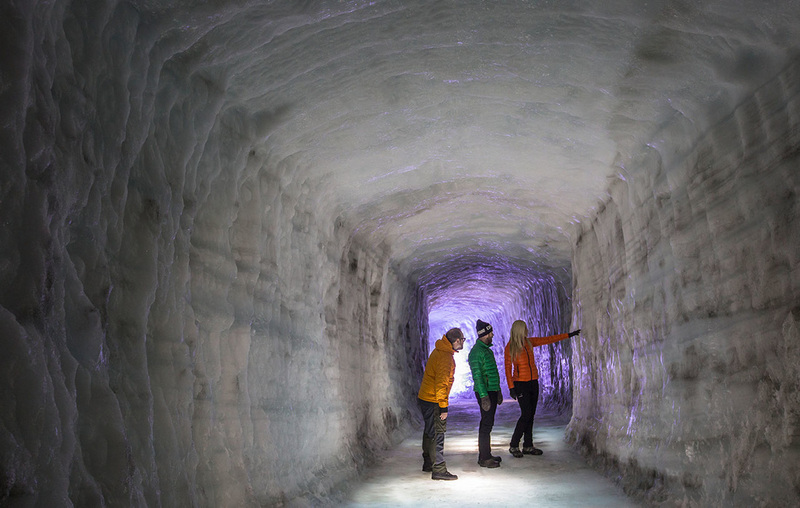 ​Great for couples, friends and families! Great riding trails - unexpected scenery! 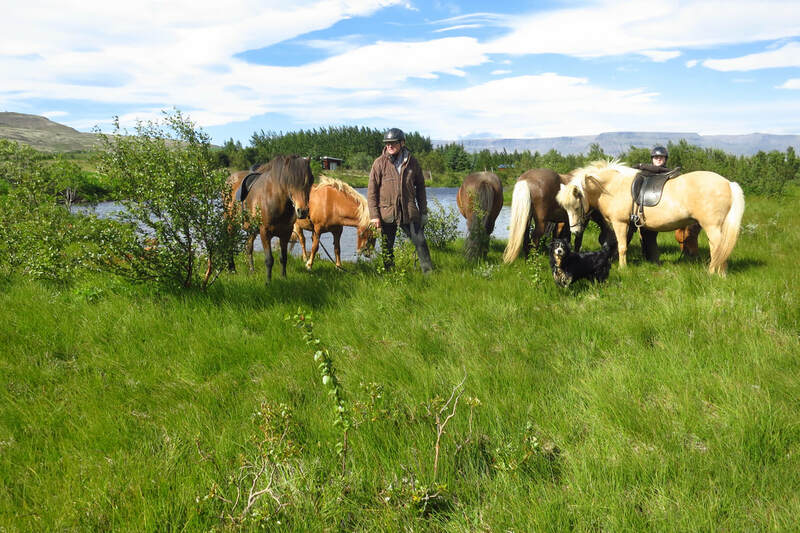 Tölt with us during the day through an exciting landscape made up of pseudocaters, glittering lakes and salmon rivers, with high mountain tops towering over us. 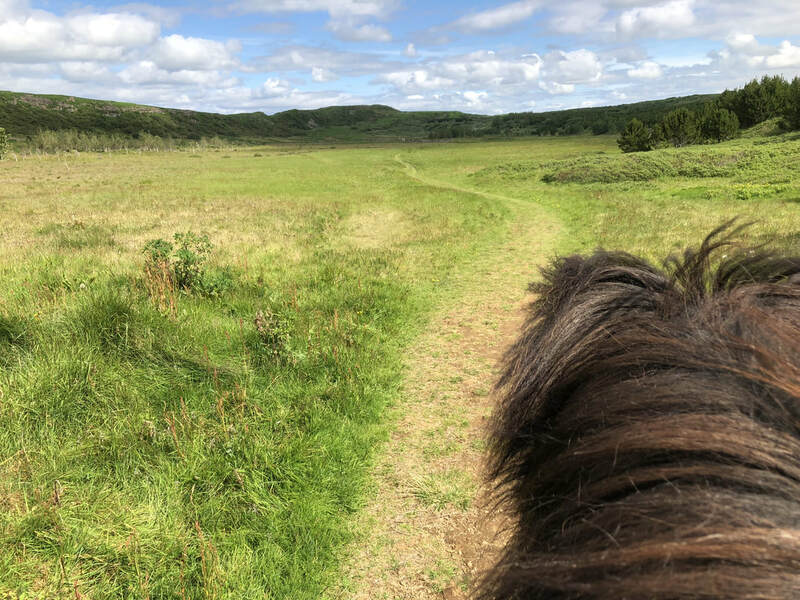 Explore secluded black lava trails only accessible on horseback and let your mind wander over endless green moss covered fields of breathtaking landscape. 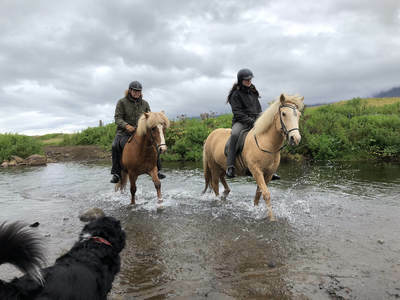 Riding from place to place this is a proper riding tour where you will get to explore the beauty of the incredible remote landscape in Reykjavík´s backyard. And in the evening choose from the many first class restaurants Reykjavík has to offer and stroll via famous Laugavegur street with its beautiful cafés and bars! 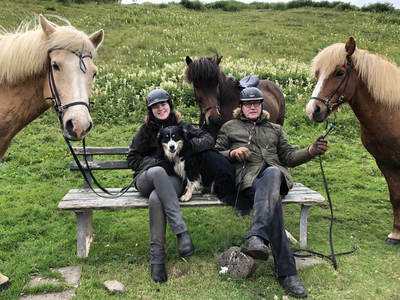 Your riding & relaxing holiday. If you want a more budget accommodation choose this riding tour without hotel and book your accommodation in Reykjavík yourself. ​During this ride we start at Álftanes Peninsula with a ride along Bessastaðir, the Icelandic President´s residence and stunning views of the Reykjavík skyline and Mt. Snæfellsjökull. 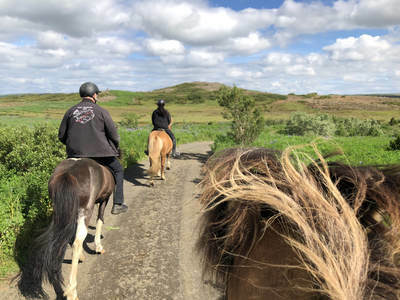 We ride through Heiðmörk Nature Reserve with its endless arctic birch forests and bizzare lava formations and tölt along the grounds of the famous Landsmót competition site. 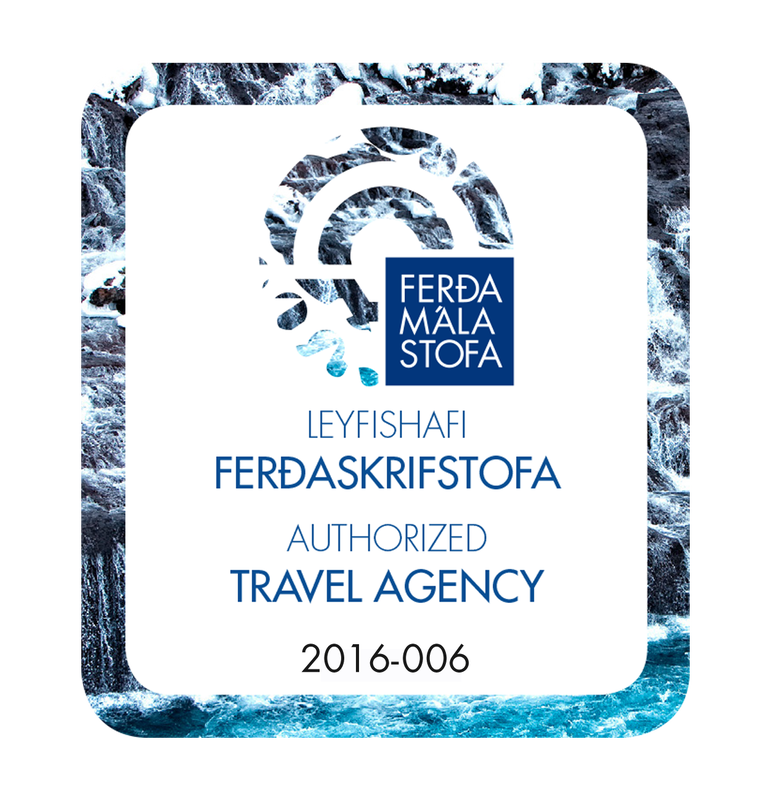 Join us on this extraordinary ride with the attention to detail and friendly personal service which characterize our micro group luxury tours! 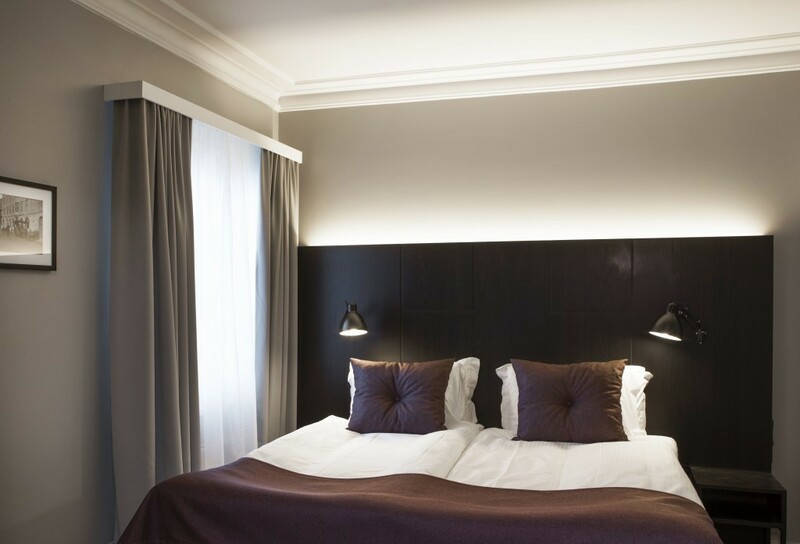 Accommodation: Choose of 3-4 star hotels in Reykjavik. A single room supplement surcharge applies. 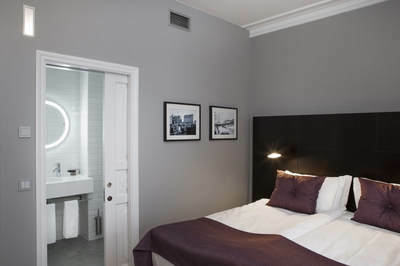 Or choose without hotel and book your own accommodation in the capital area. 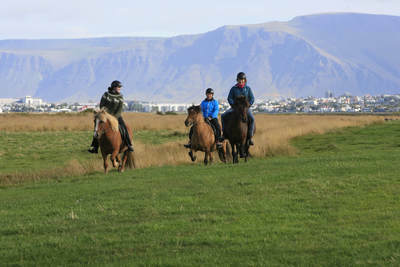 Please contact us for booking - we also offer other kind of accommodation as well as only the riding tour. 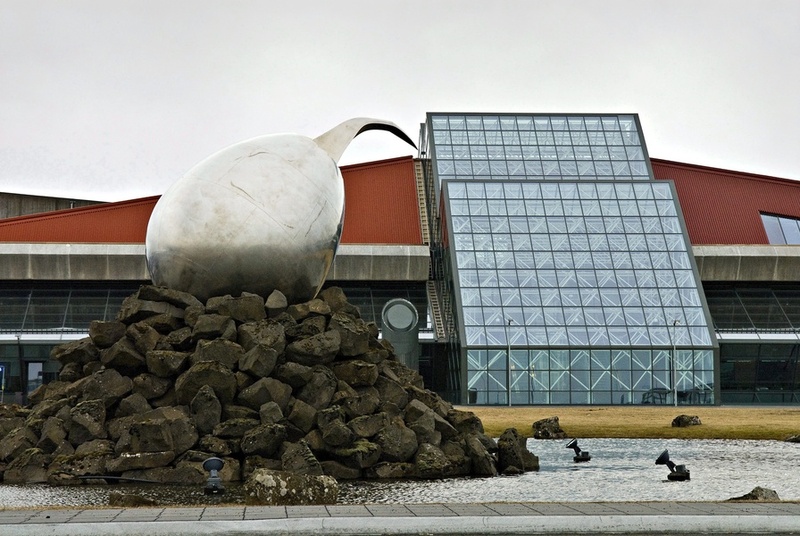 Pick up at your accommodation in the Reykjavík capital area at 10 am. 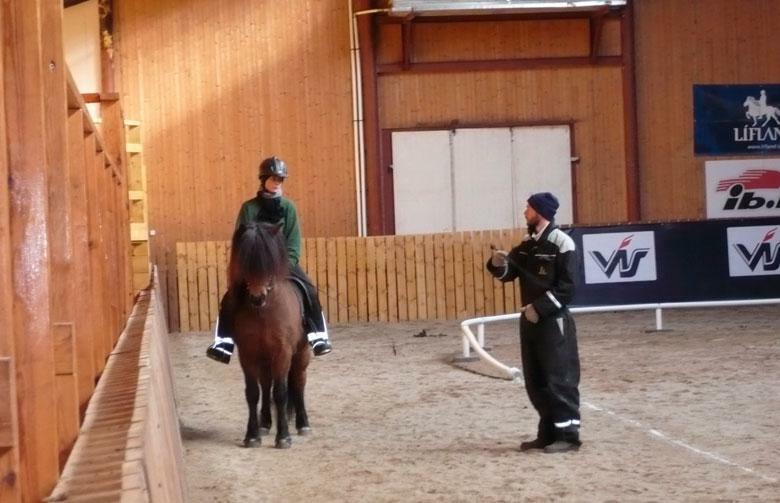 Please be ready in your riding clothes in the reception at pick up time. 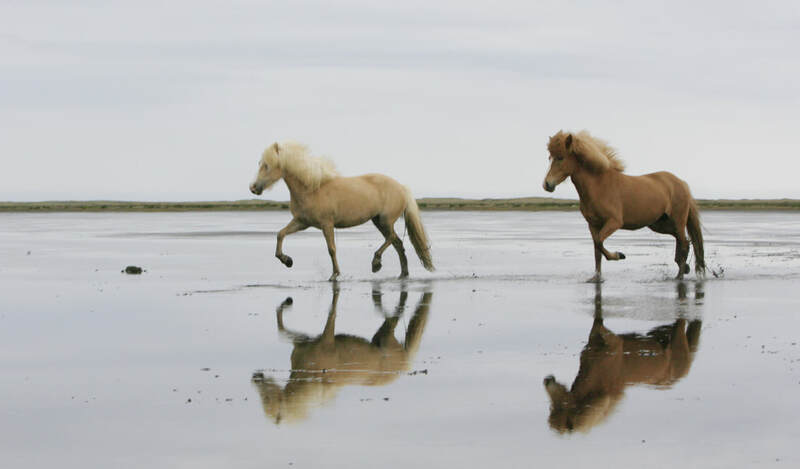 We take you to the beautiful Álftanes peninsula, only a short drive from Reykjavík downtown. 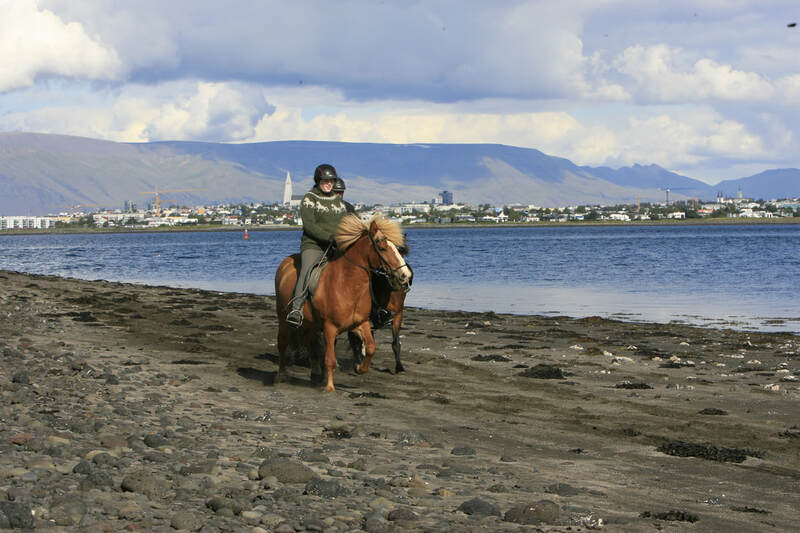 After an introduction into the safety issues, tack and gaits of the Icelandic horse we set off for a lovely gentle ride on good tölting tracks along the shoreline (and beach if tide allows) with a magnificient views of Snæfellsnesjökull, Mt. Esja, the Reykjavík skyline and striking Bessastaðir, the residence of the Icelandic president. Wonderful birdlife and an amazing scenery accompany us for this first ride. 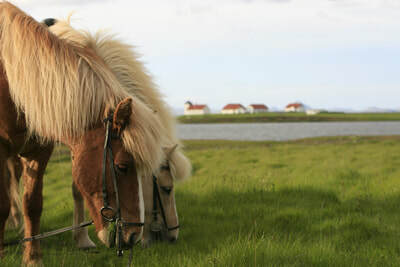 Afterwards we enjoy a light lunch at a local café with views of grazing horses. After lunch we take a short drive to the stable area of Hafnafjörður´s riding club Sörli for a ride through narrow tracks through lava and birch forests! 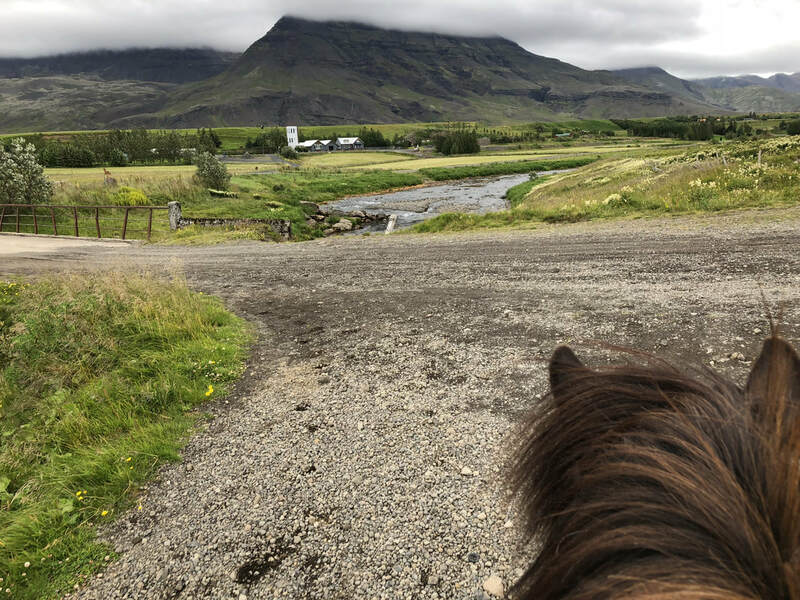 Beautiful and again complely different mountain views take us via the Nature Reserve Heiðmörk to Riding club Sprettur, the stable area of Kópavogur town where we leave our horses and drive you to your accommdation in Reykjavík. Dinner and evening indiviudally. 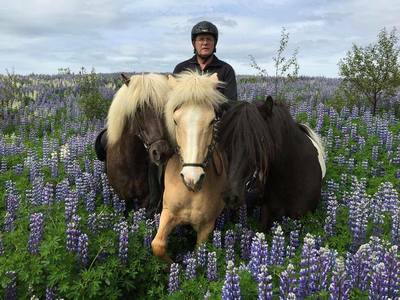 Riding distance approx. 20 km, 4-5 hours. Pick up at your accommodation at 10 am. Today´s ride will take us exploring the backyards of Reykjavík. We will start by riding some more through the breathtaking Heiðmörk Nature Reserve, passing the Reykjavík stables of Fákur Riding club and the grounds for the famous Landsmót competition. We continue via Lake Rauðavatn and ride along the shore of Leirvogur beach towards Mosfellsbær underneath mighty Mt. Esja. 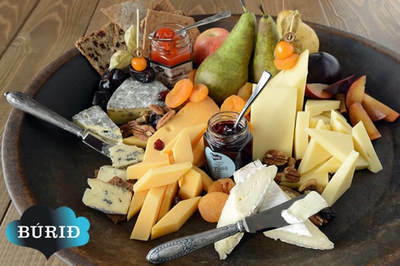 During today we will serve you a luxury picnic lunch! Leaving the horses at Vonarholt farm we enjoy some coffee and cakes Icelandic style before we take you back to your accommodation. Dinner individually. Riding distance: approx. 15- 20 km, 4-5 hours. Day 3: Around Mt. Mosfell on Saga trails! Pick up at your accommodation in the capital area at 10 am. 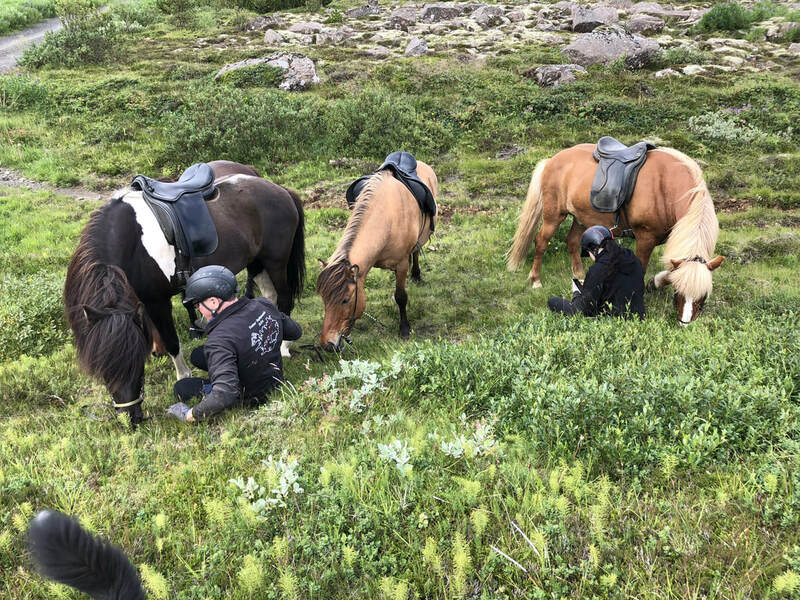 Today we ride around Mt. Mosfell in the charming Mosfellsdalur valley. We are literally travelling on Saga Trails as we ride over the meadows where the famous medieval Viking Warrior Egill Skallgrímsson once live and buried his gold! While Mt. Esja towers over us we we tölt through the beautiful area where Icelandic Nobel writer Halldór Laxnes grew up and found his inspiration for his famous novels. Pick up at your accommodation in the capital area at 10 am for your last ride with us. 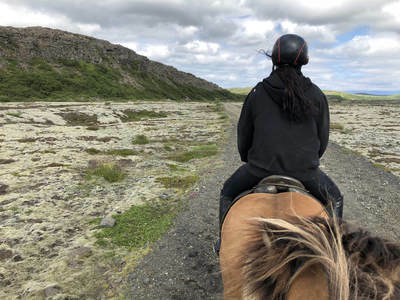 Riding along the shores of lakes Hafravatn and strikingly beautiful Elliðavatn we ride through the spectacular Rauðhólar area. The 5.200 years old remnants of a cluster of firy red Pseudocraters make a wonderful backdrop for our last tölt through Reykjavík´s gorgeous backyard! 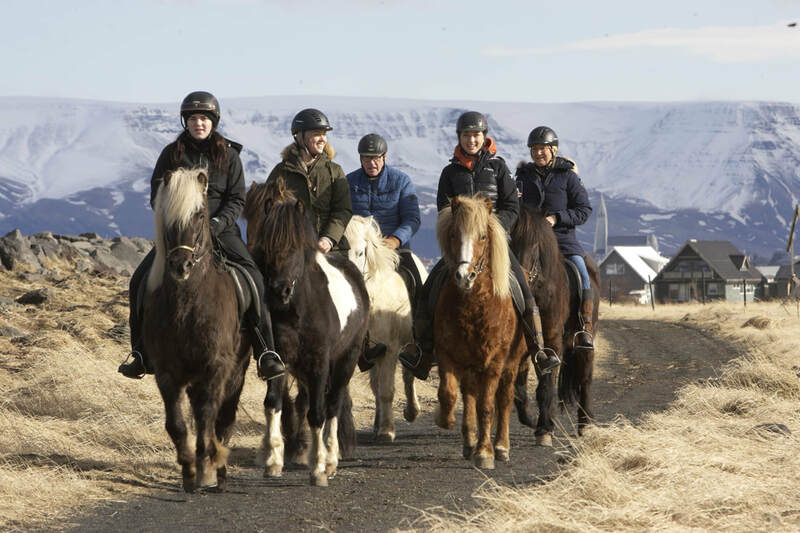 Here our ride ends at the stables but we are happy to transfer you to your accommodation within the Reykjavík capital area or the BSÍ busterminal to catch the flybus to Keflavík airport.